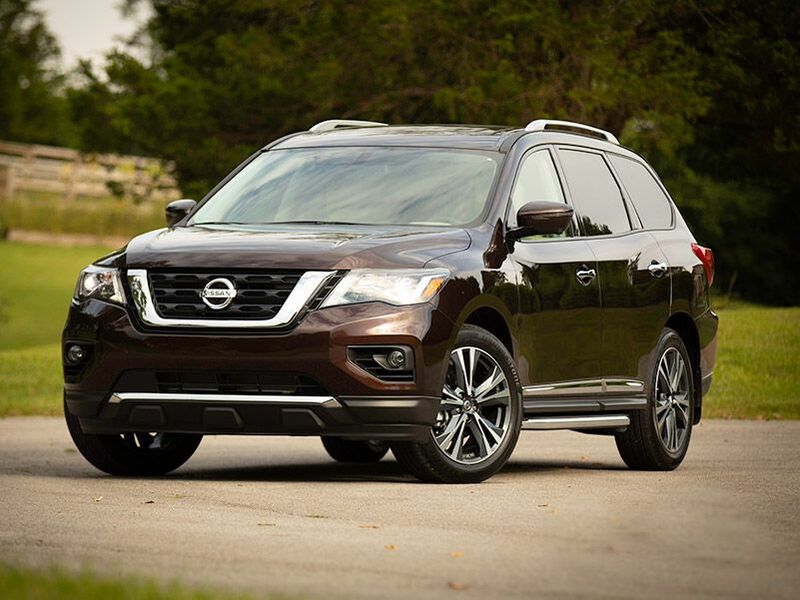 The 2019 Nissan Pathfinder is a three-row SUV with room for up to seven passengers. It comes in a range of four trims priced from $31,430 to $44,460. Front-wheel drive is standard with the option for all-wheel drive across the lineup and the ability to tow up to 6,000 pounds. 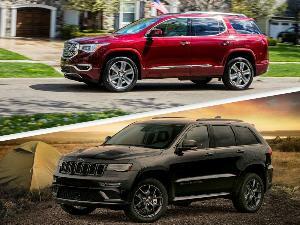 Large SUVs are a popular choice for families who need plenty of room for the kids, their friends, and all their stuff. That popularity means there are new models being introduced every year, giving you plenty of options. Here are 10 Nissan Pathfinder competitors to consider. 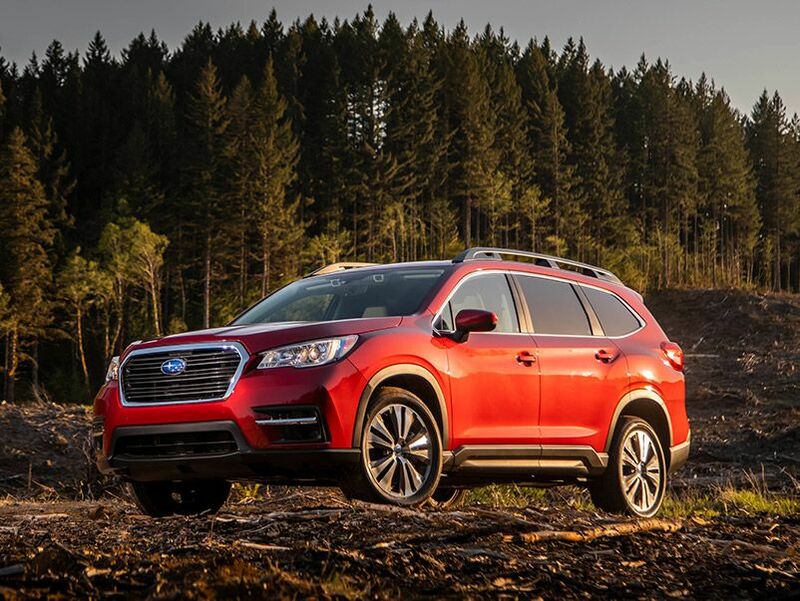 The 2019 Subaru Ascent is an all-new model with three-rows of seating and room for up to eight passengers. Available second-row captain’s chairs take seating down to seven but are a more comfortable option. This is the largest Subaru ever, with 19 cupholders to accommodate the whole family. It also has room for up to 86.5 cubic feet for cargo and can tow up to 5,000 pounds. All-wheel drive is standard, along with active torque vectoring and 8.7 inches of ground clearance for off-road adventures. Adding to its capability is X-Mode with hill-descent control, making the Ascent a great choice for more adventurous families. The four-trim lineup is priced from $31,995 to $44,695. 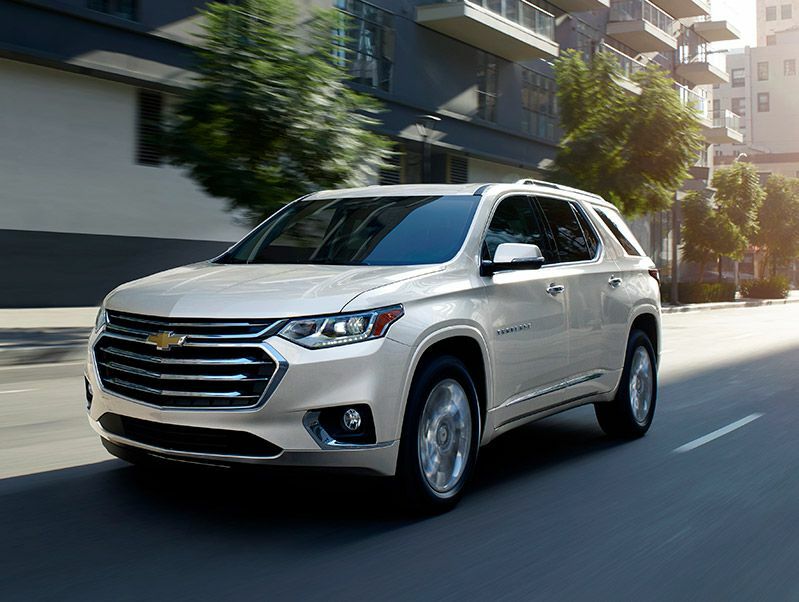 The 2019 Chevrolet Traverse offers room for up to eight passengers, with available second-row captain’s chairs if you only need seating for seven. It comes in a range of six trims priced from $31,125 to $54,395. That’s a good bit higher than the Pathfinder’s most expensive trim level, but the top Traverse is a more luxurious choice with an upscale interior not found in the Pathfinder. 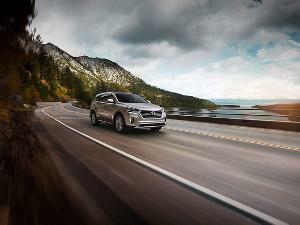 The Traverse is plenty roomy with 23.0 cubic feet behind the third row, 58.1 cubic feet behind the second row, and 98.2 cubic feet behind the front seats. Maximum cargo room in the Pathfinder is 79.5 cubic feet, making the Traverse a better choice if cargo capacity is a priority. 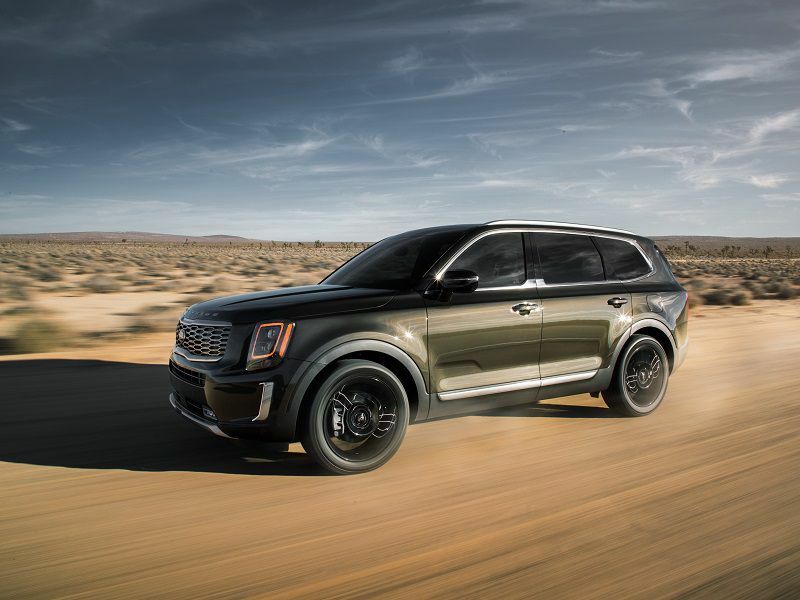 The 2020 Kia Telluride is an all-new model with three rows of seating and room for up to eight passengers. It is available in a range of four trims priced from $31,690 to $41,490 with standard front-wheel drive. All-wheel drive is available across the lineup for an additional $2,000. That makes the Telluride an incredible value, with the most well-equipped trim with all-wheel drive coming in at only $43,490. Standard features include rear climate controls, an 8-inch infotainment touchscreen with Apple CarPlay and Android Auto, and five USB ports. It also has standard Drive Wise with a wide range of safety features including blind-spot monitoring, a forward collision warning, and lane-keeping assist. 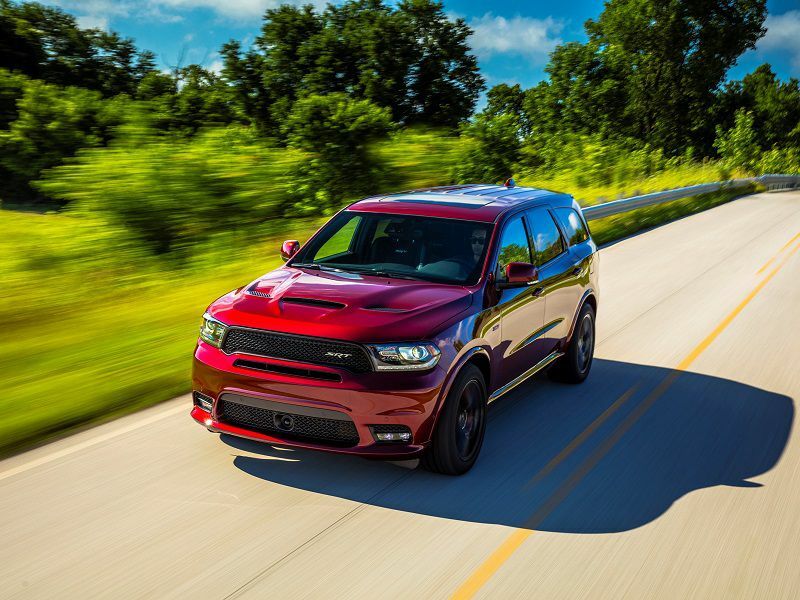 The 2019 Dodge Durango is offered in five trims with pricing starting at $31,195. It has room for seven passengers, while available captain’s chairs take seating down to six. The base model only is available without the third row for five-passenger seating. This is a great option for those who want the added cargo capacity of a large SUV but don’t need quite as much room for people. There’s 17.2 cubic feet behind the third row, 43.3 cubic feet behind the second row, and 85.1 cubic feet behind the front seats. The Durango boasts a maximum tow rating of up to 8,700 pounds when properly equipped adding even more flexibility for those with lots of cargo. 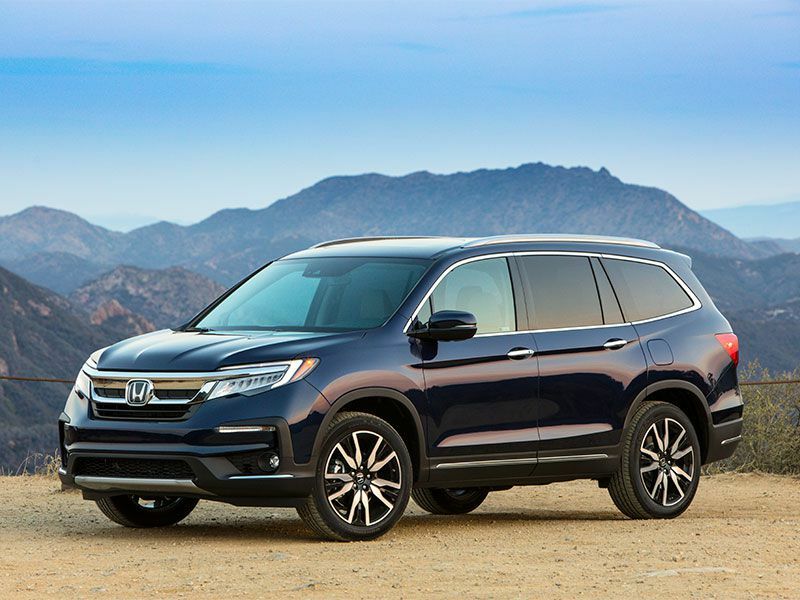 The 2019 Honda Pilot received an update this year with improved styling, a smoother powertrain, an available upgraded infotainment system, and the Honda Sensing suite as a standard feature. This includes road departure mitigation, collision mitigation braking, lane keeping assist, a forward collision warning, and adaptive cruise control. Front-wheel drive is standard with the option for all-wheel drive across the lineup, except on the top Elite trim that offers only all-wheel drive. The starting price is $31,450 with the Elite priced at $48,020. While base trims are comparably priced to the Pathfinder, the top trims are higher and can be harder to fit into the family budget. 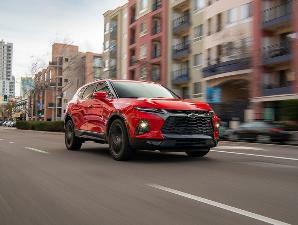 The 2019 Toyota Highlander has room for up to eight passengers in a range of six trims. 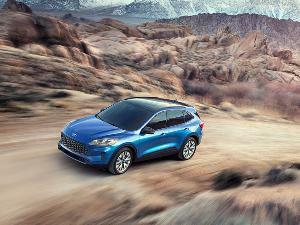 It has standard front-wheel drive with optional all-wheel drive across the lineup and pricing from $31,530 to $47,210. It’s also available as a hybrid in four trims priced from $37,170 to $48,830. You’ll pay more for the hybrid but get the benefit of improved fuel economy over the long term. The gas-powered lineup gets up to 21 mpg in the city, 27 mpg on the highway, and 23 mpg combined. Hybrids get up to 30 mpg in the city, 28 mpg on the highway, and 29 mpg combined. This efficiency makes the Highlander Hybrid a great choice for families that do lots of driving. 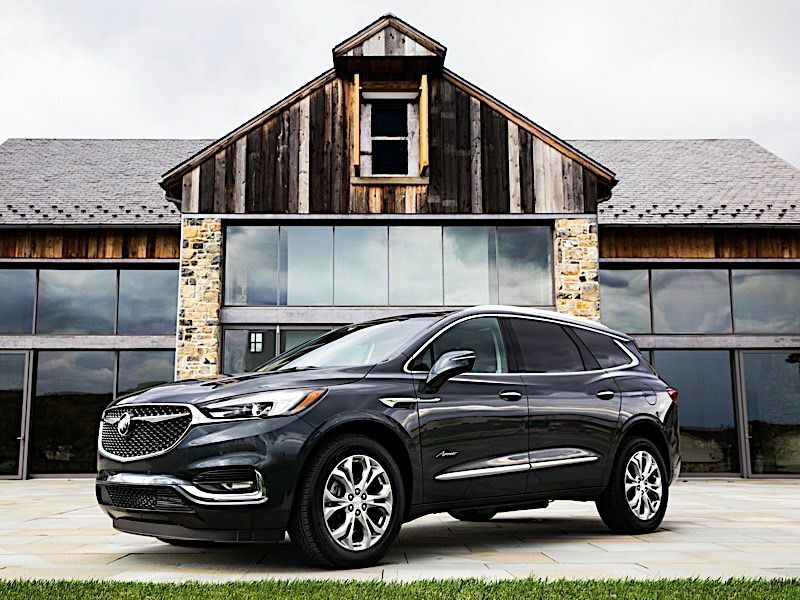 The 2019 Buick Enclave is a premium three-row SUV with seating for up to seven passengers and an upscale interior across the trim range. This gives it a higher starting price of $40,990, which is near the mid-range for many competitors. The upside is a long list of standard features. These include 4G Wi-Fi hotspot connectivity, tri-zone climate control, and heated front seats. The Enclave is also available with the exclusive Avenir badge, which is found on only the most premium versions of the vehicles in the Buick lineup. Choosing the Avenir trim gives the Enclave a true luxury car vibe at a price of $54,495. 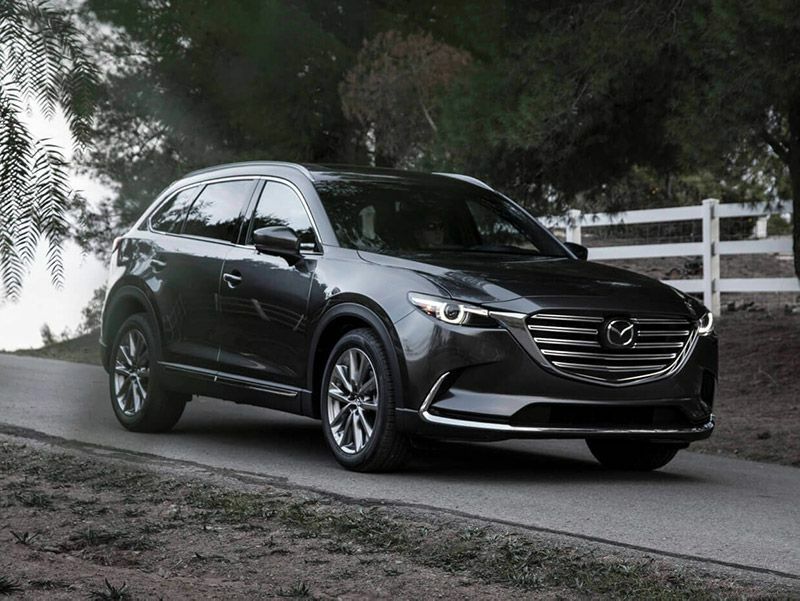 The 2019 Mazda CX-9 is an upscale choice throughout its four-trim lineup. It offers room for up to seven passengers with a choice of front-wheel or all-wheel drive, which becomes standard on the top Signature trim. In addition to an attractive interior with quality materials, the CX-9 offers a powerful engine that makes driving this large SUV fun. It’s powered by a 2.5-liter turbocharged four-cylinder engine with 250 horsepower and 310 lb-ft of torque. There’s also standard G-Vectoring Control, which improves handling in both rough road conditions and when cornering. The CX-9 proves a full-size SUV doesn’t have to be dull. The 2019 Volkswagen Tiguan offers a choice of two rows of seating for a five-passenger capacity, or three rows that fit up to seven. This makes it a good option for those who need more room for cargo but might not need the seating for extra passengers. It’s available in six trims priced from $24,295 to $38,895, which also makes it a good option for those with a more modest budget. There’s a choice of front-wheel drive or all-wheel drive on base models, with standard all-wheel drive on the top two trims. 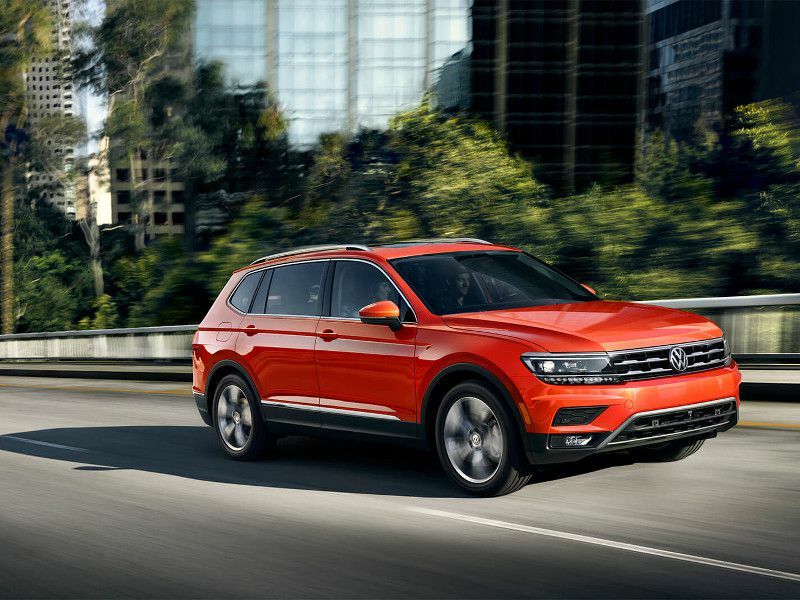 The Tiguan is powered by a 2.0-liter four-cylinder with only 184 horsepower and can tow up to 1,500 pounds. Power is not its strong suit, but it’s a winner on pricing. 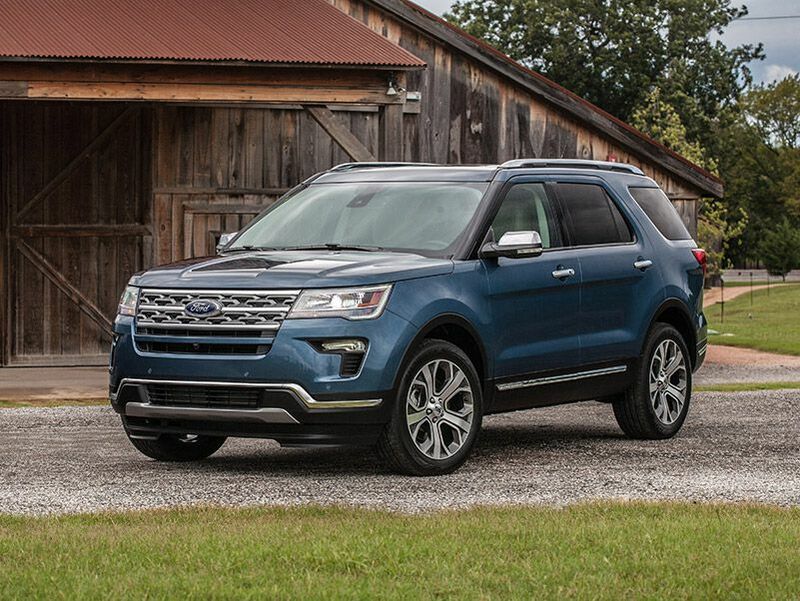 The 2019 Ford Explorer offers three rows of seating with room for up to seven passengers and pricing from $32,365 to $54,165. It has a large interior with ample cargo room. There’s 21.0 cubic feet behind the third row, 43.9 cubic feet behind the second row, and 81.7 cubic feet behind the front seats. It can also tow up to 5,000 pounds. The Explorer comes with a choice of three powerful engines. A 3.5-liter V6 with 290 horsepower and 255 lb-ft of torque powers base models with an available 2.3-liter four-cylinder that offers 280 horsepower and 310 lb-ft of torque. Sitting at the top is a burly 3.5-liter V6 with 365 horsepower and 350 lb-ft of torque.